Problem #1: Write the code shown in flowchart #1 using simple if statements. 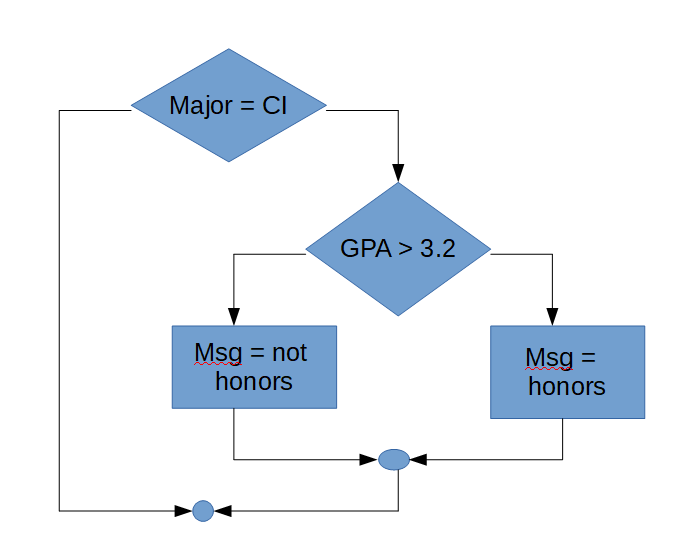 Problem #2: Write the code shown in flowchart #1 using compound if statements. Note that sometimes they are called complex instead of compound. 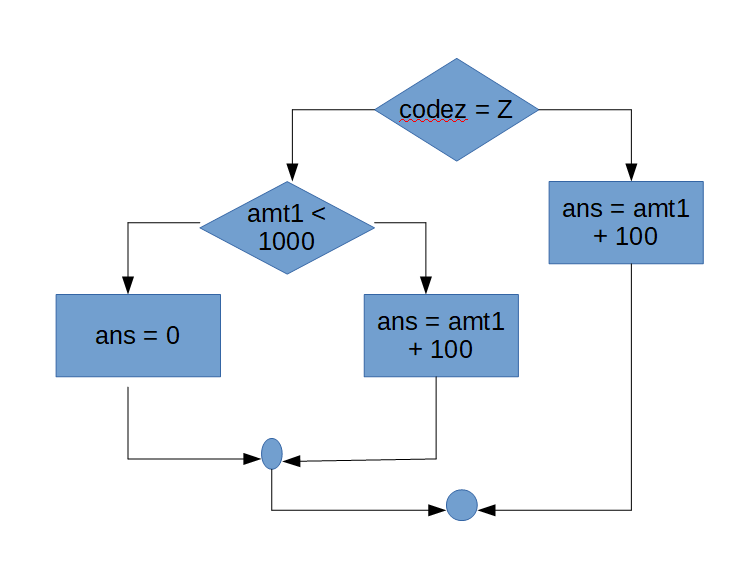 Problem #3: Write the code shown in flowchart #2 using simple if statements. 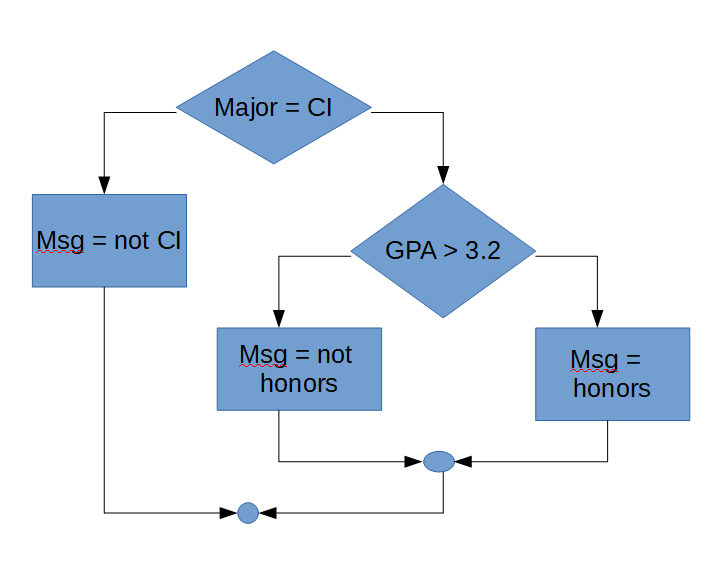 Problem #4: Could the code shown in flowchart #2 be written using a compound AND statement. Explain your answer. 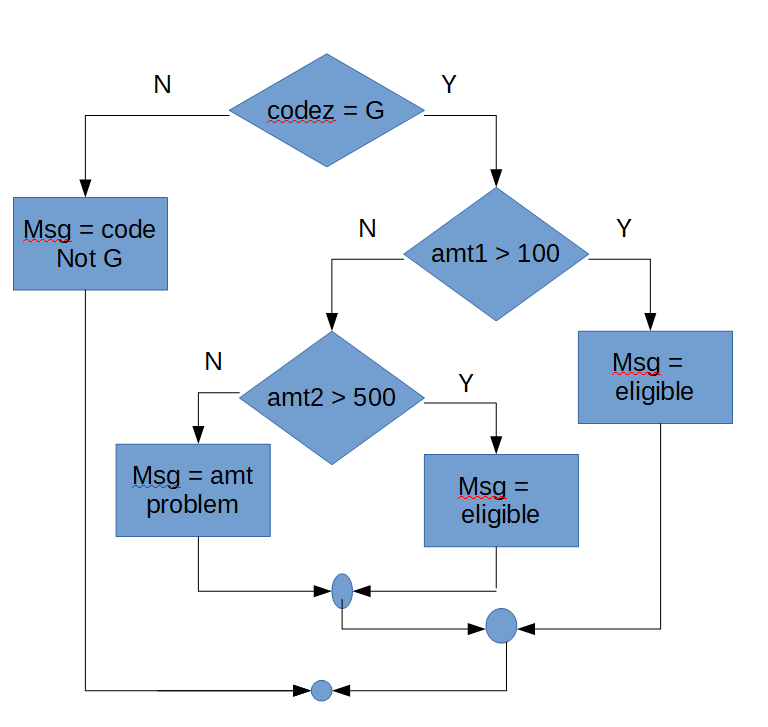 Problem #5: Write the code shown in flowchart #3 using simple if statements. 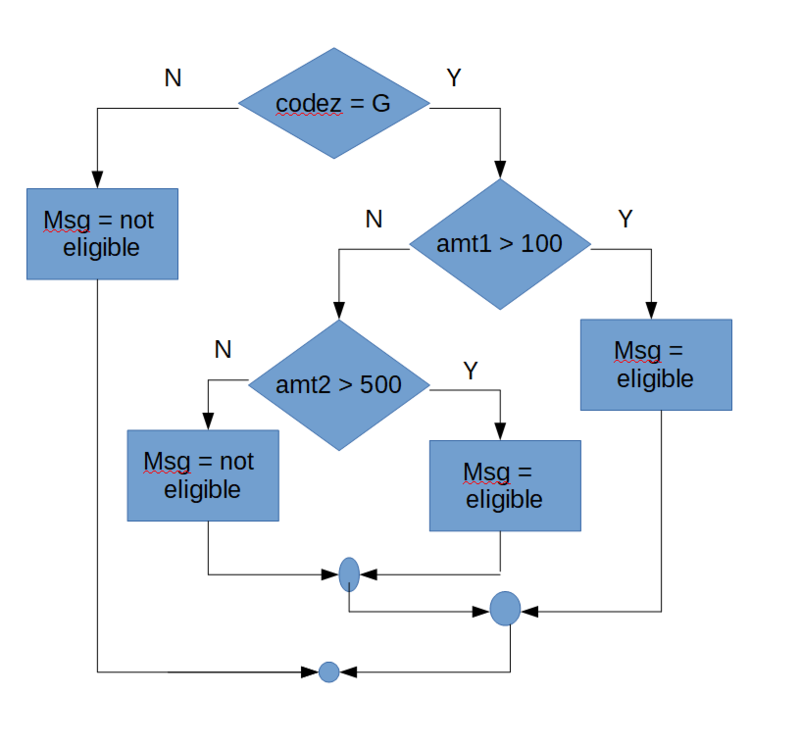 Problem #7: Write the code shown in flowchart #4 using simple if statements. 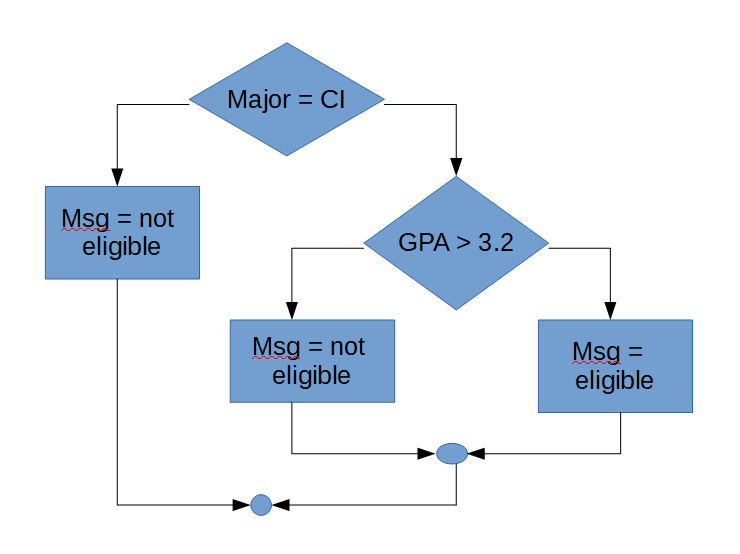 Problem #8: Write the code shown in flowchart #4 using a compound if statements. 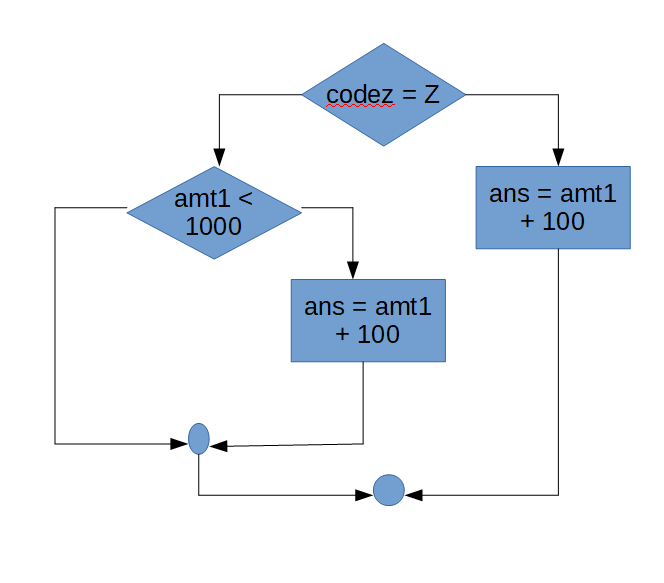 Problem #9: Write the code shown in flowchart #5 using simple if statements. 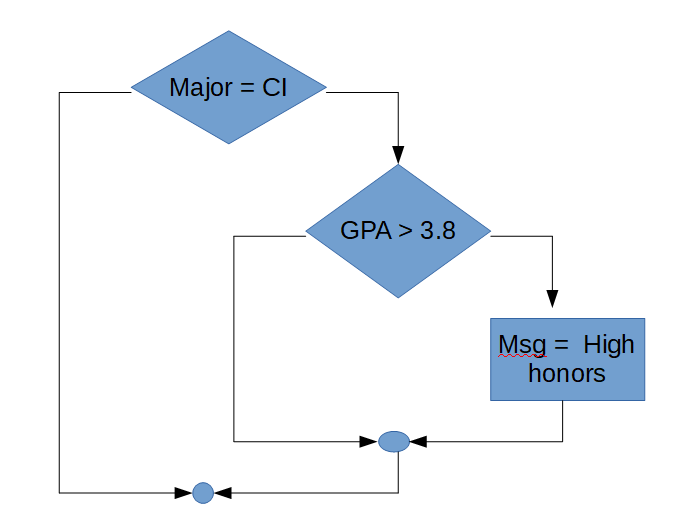 Problem #10: Write the code shown in flowchart #5 using compound if statements. 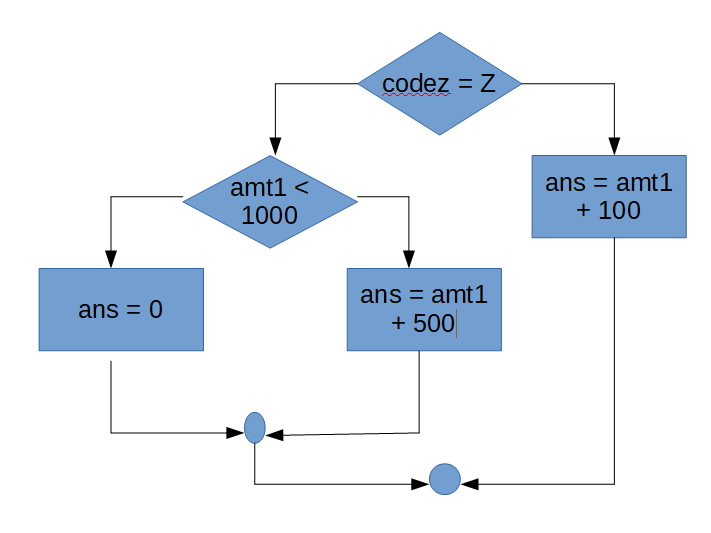 Problem #11: Write the code shown in flowchart #6 using simple if statements. Problem #12: Write the code shown in flowchart #6 using compound if statements. Problem #13: Write the code shown in flowchart #7 using simple if statements. Problem #14: Could the code shown in flowchart #7 be written using a compound OR statement? Explain your answer. Problem #15: Write the code shown in flowchart #8 using simple if statements. Problem #16: Write the code shown in flowchart #8 using compound if statements. Problem #17: Write the code shown in flowchart #9 using simple if statements. Problem #18: Could the code shown in flowchart #9 be written using a compound statement? Explain your answer.